Network now comprises more than 2,600 companies and organizations that have voluntarily signed the ten principles established by the Global Compact on corporate social responsibility (CSR) in Spain. COATO President, José Luis Hernández, a member of the executive committee of the association of the Spanish Global Compact Network attended this memorial accompanied by several officers of the department of quality, environment and CSR COATO. 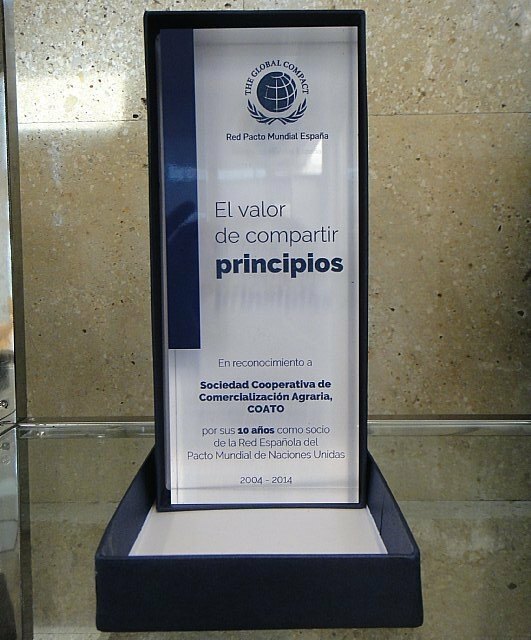 It began with a videoconference from the UN headquarters in New York, its Secretary General Ban Ki-Moon, who stressed the leadership of the Spanish Red globally, the number of companies and organizations signatory and practitioners Protocol ten principles of global UN pact, which have made him the most important forum and accredited social model of CSR internationally. Also speaking at the event, the Director General's office and the global network of UN Global Compact in New York, Georg Kell, which reports directly to the Secretary General of the UN who encouraged the representatives of the several hundred companies and attending the ceremony entities, to further deepen the development and implementation of the ten principles of the Global Compact in the field of business and other organizations and NGO's, since, as stated, "we are at a turning point where companies have to understand that sustainable development of society is essential for their own long-term success and how to achieve this goal is the public-private partnership based on ethical, social and environmental values. " After completing the act the Director General of Global Compact, Georg Kell, I had a brief exchange of views with the President and the delegation of COATO attending the event, which was interested in the activity and leadership COATO at European level, the field of organic farming. come out stronger from this crisis. 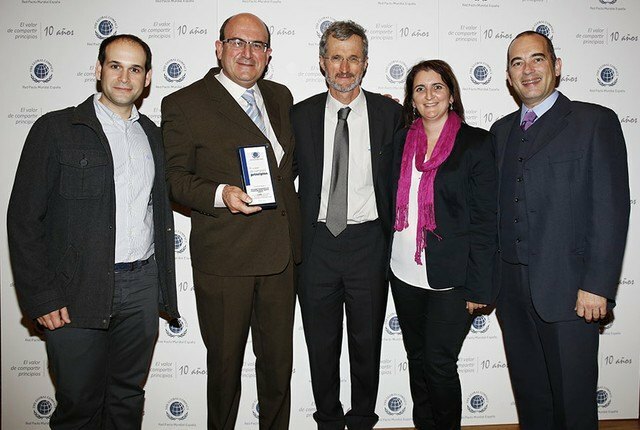 Coato was also one of the seventy Spanish companies and entities that received recognition for being partners and promoters of the association of the Spanish Network on its initial trajectory, whose tenth anniversary was commemorated yesterday.